December 17, 2008 started like an other day for Scott Bolzan, he went to the men’s room in his office building, something he had done thousands if not a million times, slipped and hit his head on the floor. It changed his life, he woke in an emergency room of a hospital with no memory. 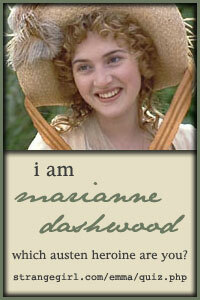 He didn’t know his name, he didn’t know the woman there with him was his wife, he didn’t even know what a wife was. His life was deleted. The hit to his head had caused total and permanent amnesia. What followed was Scott had to rebuild his life, it was hard on him, his family and his friends. It was interesting to see he retained muscle memory, he was able to drive a car, and what he called ‘heart’ memory, he ‘felt’ who he could trust and not trust, that he was close to his daughter but relations with his son were strained. That he could trust his wife. Beyond that, everything was a blank slate. This was a thoroughly enjoyable memoir, Scott is very candid in his retelling, he doesn’t sugar-coat things, he doesn’t make himself to be a hero. He is unstinting in his admiration of his wife, her strength and patience, with no memory, Scott ‘forgot’ he was in love with her and had to fall in love with her again. He tells about non-stop TV watching to ‘learn about life’. His frustration with doctors who kept saying there was a ‘psychological’ reason for the amnesia, since they couldn’t find a physical one, when his family and friends told him there was no trauma he had suffered, just the seemingly minor injury when he fell. An account that could have been heart-breaking but with his persistence and the love and support of his family, along with searching for the right doctors for answers makes this an uplifting tale. On a personal note, several years ago my father fell running across a wet parking lot an broke his wrist and tore a tendon in his knee. Every since then I have been very careful on wet surfaces, especially when I am wearing ‘slippy’ shoes. Now I am even more paranoid about slippery conditions. 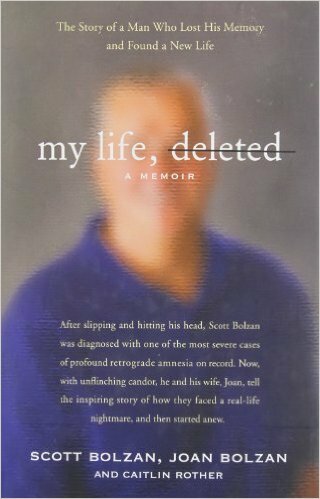 Posted by Belleza on June 7, 2015 in 2015, Biography, Memoir, Non-Fiction and tagged Amnesia, Caitlin Rother, Hardbound, Library Book, Memory, My Life Deleted, Really liked it ♥♡, Recommended to read, Scott Bolzan.